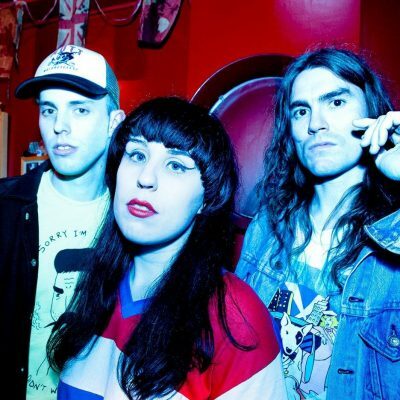 TABLE SCRAPS REVEAL NEW VIDEO! Fast-rising Brummie garage trio TABLE SCRAPS have just unveiled a video for their new single. ‘Sick Of Me’ is the first single to be taken from the band’s debut album Autonomy which is set for release on 23 February through Zen Ten Records, the brand new label from Easy Action Music. Propelled by an insistent two-note groove and a floorshakingly primal beat, ‘Sick Of Me’ conjures that same never-fails British Invasion magic that so inspired the kids of Detroit and certified Lenny Kaye’s Nuggets comp the high-school prom soundtrack at the end of the universe. The 7″ of ‘Sick Of Me’ b/w ‘Mequinenza’ is available to buy here in a limited edition of 500 copies worldwide. Table Scraps have a series of dates lined up around the album release, including a London date at The Shacklewell Arms on 28 February and a special launch party at The Hare & Hounds, Birmingham on 2 March. Full dates are…. ‹ PREFAB MESSIAHS REVEAL NEW VIDEO!